The Lingrove team is experienced in all the aspects of taking products made of Ekoa® composites to market. Our integrated design approach starts with our supremely effective material—the basis of brand-building product development. We examine all phases of product development early in the process to achieve inspiring results backed up with a robust manufacturing network. Our design process is rooted in the needs of the end user and informed by deep know-how around composites. Ekoa® has inherent performance benefits such as vibration damping, high stiffness, an authentic natural look, and low density—tangible benefits that translate into iconic products. Lingrove offers robust in-house integrated product development capabilities to build on the product design phase or as a stand alone offering. This includes industrial design, rapid prototyping, CAD modeling, and engineering. Our nimble approach allows for aggressive and efficient concept-to-market timelines. A composite projects success can hinge on picking the right layup and process. 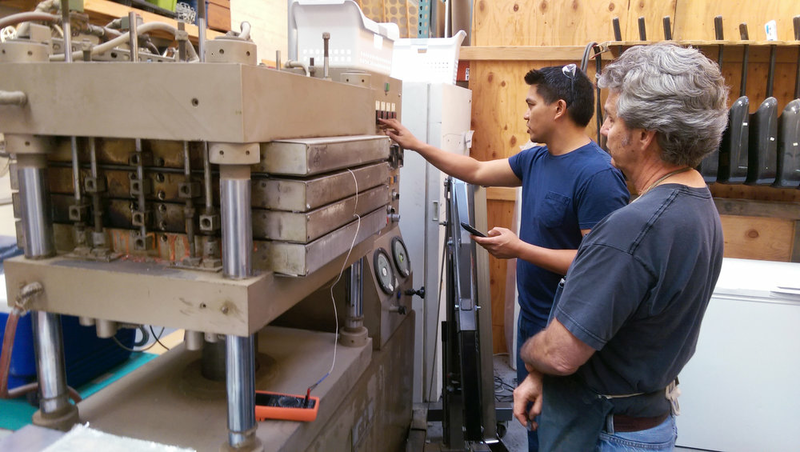 Our hands-on expertise optimizes processing including: tooling, composite schedules, testing composites processes, and developing processing parameters. Various applicable processes include: compression molding, Autoclave, RTM, and infusion. We provide design-for-manufacture services and guidance in categories such as OEM manufacturing, OEM management, and in-housing though technology transfer.